The RAC Foundation has welcomed the publication by the Transport Select Committee of the results of its inquiry into local authority parking enforcement. The Foundation submitted written evidence to the committee and is pleased to see that many of our recommendations were backed by its members. “Forcing all councils to publish annual reports would illuminate what many drivers regard as the murky world of parking policy. “Any area of public policy which generates more than half a billion pounds of annual profit demands to be scrutinised and explained. “Parking charges are not inherently wrong but they need to be fair, and where penalties are levied they should be proportionate to the ‘crime’ committed. “Local authorities are struggling with huge financial pressures but so are drivers. It is unacceptable that car users should be singled out as an easy way of shoring up shrinking budgets. “Parking enforcement is necessary for managing demand on the roads, however, the use of parking charges and fines specifically to raise revenue by local authorities is neither acceptable nor legal*. Yet there is a deep-rooted public perception that parking enforcement is used as a cash cow, so it’s essential that local authorities apply stringent transparency. “Annual parking accounts would allow the public to see how much local revenue is derived from the enforcement of fines, and what proportion of this come from on or off street parking charges. “It’s right that parking charges be determined locally, but hard to justify fines that substantially exceed penalties for more serious offences like speeding. Central Government should freeze the maximum penalty charge and develop differential fines for less serious parking violations. “Common sense also suggests the DfT’s statutory guidance should stipulate that local authorities implement a ‘grace period’ of 5 minutes after the expiry of paid-for time on any paid parking before enforcement officers issue a Penalty Charge Notice (PCN). “A 25% penalty charge discount should also be introduced for motorists who pay within 7 days of losing any appeal to a parking tribunal. Local authorities currently offer a 50% discount if motorists pay their penalty charge within 14 days, but remove this benefit entirely from motorists who appeal to a tribunal. “Motorists should also not have to appeal against PCNs where tribunal adjudicators have repeatedly identified a problem such as poor signage. Local authorities must resolve these sorts of problems and Government must impose a statutory requirement on them to refund monies received from invalid PCNs of this kind. “Adjudicators should also be given powers to allow appeals where local authorities fail to follow statutory guidance concerning the use cameras (their use should not be routine) or issue PCNs in settings where exemptions (such as resident permits or Blue Badges) are not visible to such camera equipment. 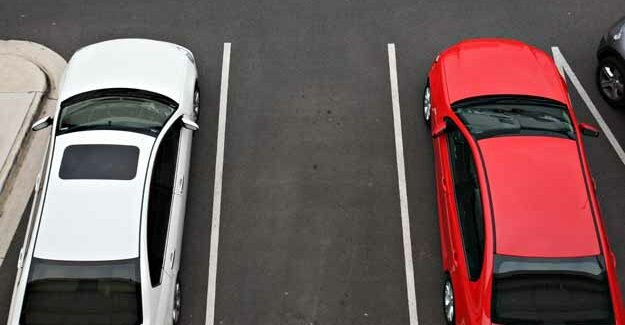 The DfT’s Operational Guidance to Local Authorities on Parking Policy and Enforcement be clarified and updated, particularly in relation to rules for loading and unloading. Local authority parking enforcement activities should in general do no more than cover costs. Where high demand for parking gives rise to unintentional surpluses these must be clearly explained. The ring fence around parking revenues should not be removed. Annual parking reports should be made mandatory for all local authorities so that information on parking is in the public domain. Such reports should explain how each authority measures performance in relation to parking enforcement activity and parking compliance. Local authorities must work with local businesses to develop innovative parking solutions that work for their area while Government should consider developing business rates relief for businesses that invest in affordable town centre parking solutions. The Workplace Parking Levy (WPL) scheme in Nottingham must be carefully evaluated before it is rolled out elsewhere. The guidance, regulations and legislation for WPL should be simplified and made fairer to introduce. The Government should hold a roundtable discussion with road hauliers and local authorities to identify and then disseminate innovative ways of dealing with conflicts between delivery needs and parking controls. The UK Government should initiate discussions at a European level on the feasibility of introducing EU-wide powers for the cross-border enforcement of parking penalty charges in a cost effective way.